Orchid wedding flowers are said to be a popular favorite among brides. This is because of the orchid's exotic and colorful blooms. Orchids in weddings seem to give a more refreshing and oriental feel. Orchids were a sign of wealth and social standing in the UK. There are a number of orchid varieties used in weddings, the most popular of which is the cymbidium orchid. These orchids have large heads, with white, yellow, pink and pale green colors. They have big waxy petals, which put them in advantage to other flowers since it is more resistant to drying. One way of appreciating the elegance of orchids is to simply cut the flower heads and float them in a large flat vase filled with water. This type of displaying orchids can also serve as centerpieces in reception tables especially during weddings. 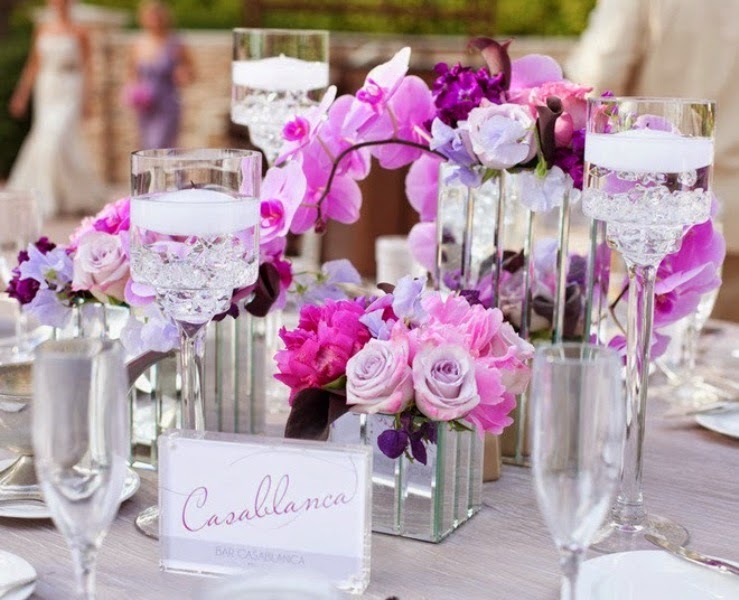 Orchid weddings quickly became a trend due to its fragrance, beauty and timeless elegance. If there were a flower to symbolize refinement and beauty, then it would be the orchid. The orchids' reputation as a hard to grow and handle flower only adds to its stature as an elegant statement in weddings. Of the hundreds of types of orchids, there are only three main species, the cattleya, the dendrobium and the phalaenopsis. The catlleya is popular for corsages. It displays large frilled blooms with an extraordinary tropical fragrance unlike any other. The dendrobium is also called the Singapore orchid. It has around ten or more flowers on each spray. It is said to be more for dainty and refiner arrangements due to the arrangement and size of their petals. This would definitely look good in weddings. The third one, which is the phalaenopsis resembles a moth because of its petals. Orchids in weddings really shine if the atmosphere of the wedding is somewhat tropical or in the garden. Like a beach wedding or a wedding at the groom's or bride's huge estate. Although orchids also look great in indoor weddings, it's like experiencing freshness of nature inside the building. Some other wedding florists and planners mix orchids with non-orchid varieties. Or, they make orchids either the focal point of the arrangement or the minor detail of the numerous flower arrangements in weddings. 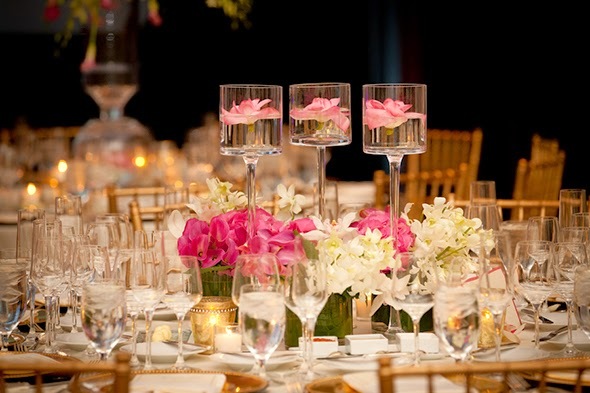 Either way, the orchids look stunning and bring about the elegance in the flower arrangement. 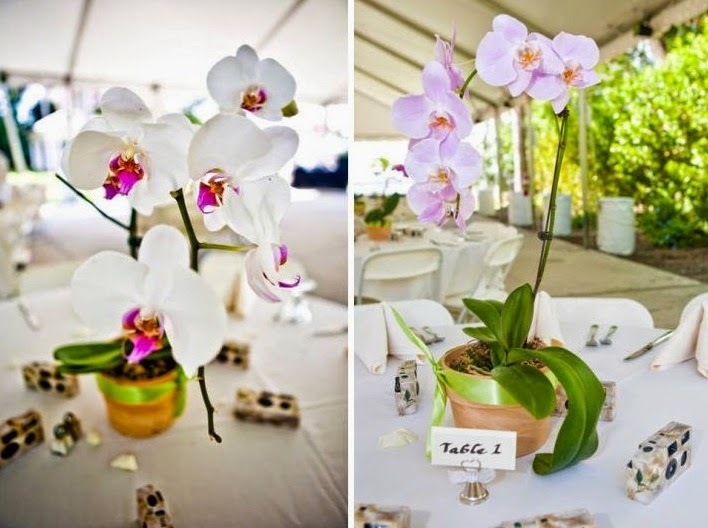 Orchids in weddings add to the timeless memories that the whole event can bring. Orchids in weddings, others say, also symbolize perfection, so it really is no wonder that orchids come across every bride's mind whenever she considers her wedding decorations. These ever so elegant flowers also have religious meanings. People say that the spots on the orchids' petals resemble that of Christ's making the orchid a sort of good symbol for a blessed marriage. So for those who are planning for weddings and other beautiful events, why not include, if not, make sure that orchids are used for the flower arrangements? It will surely bring the desired effects of calmness, joy, and elegance of whatever celebration there is. Orchids may be used as centerpieces, wedding bouquets, corsages, and even relaxants in spas and hotels. There are lots of varieties of orchids to suit your needs and your personality. There is definitely a strong recommendation for using orchids in weddings.